As a long-time lover of modern American literature I have been thrilled to discover Lucia Berlin's writing. I am reading this book at the moment and am in a hurry to finish so that I can pass it on to my daughter but I keep stopping to breath properly again, such is the effect she causes. 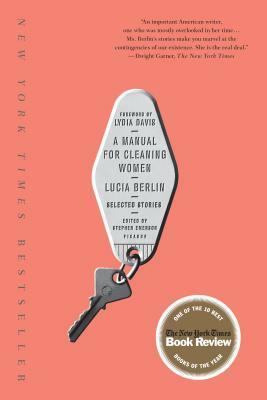 Lucia Berlin's life infuses much if not all of the stories so that it is like reading the autobiography of a multitude of American women; the joys, travails, despairs, delights and wonders, however, are those of us all at one time or another if we are lucky. Such a great book.